The second edition of The Three Levels of Leadership: How to Develop Your Leadership Presence, Knowhow and Skill (ISBN 9781852527716) is available in print and e-book formats. You can easily distinguish it from the first edition by the gold flash in the top right-hand corner of the book’s cover saying “New enlarged edition”. 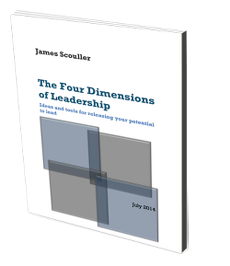 You can buy The Three Levels of Leadership from your local bookshop or order it online at all the major retailers. Click on one of the links below to go to the retailer of your choice. If your preferred retailer is not listed, just visit their website and search for the book there. The e-version is only available on Kindle software, but it’s still possible to read the book on an Apple iPad by downloading the free Kindle app. To buy an e-version of the book for reading on your Amazon Kindle device, just click on either the US or UK Amazon buttons to the left and once you are through to the Amazon page, choose the Kindle version. To buy an e-version for reading on your Apple iPad you will first need to download the free Kindle app onto your iPad. You can get it from one of the Amazon sites or Apple's App Store. Then buy the Kindle ebook from Amazon and when you click to purchase, choose to have the ebook sent wirelessly to your iPad.